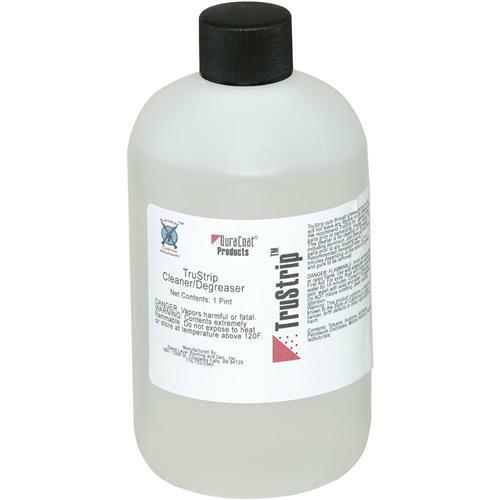 DuraCoat TS16AE - TruStrip Cleaner / Degreaser, 1 pt. Due to DOT shipping restrictions this item cannot ship via air services, or to addresses outside the Continental United States.Cuts all gunk and grease, fast. It dries extremely fast without leaving residue. This product is ideal for use as a cleaner prior to refinishing with DuraCoat® products. Cuts all gunk and grease, fast. It dries extremely fast without leaving residue. This product is ideal for use as a cleaner prior to refinishing with DuraCoat® products.